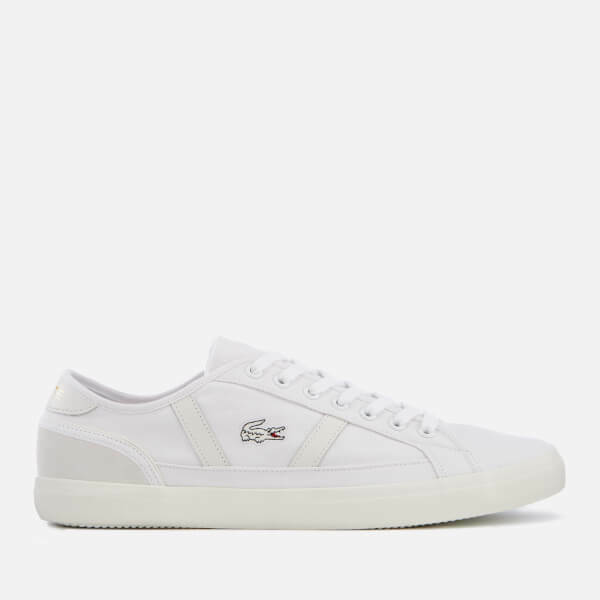 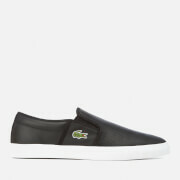 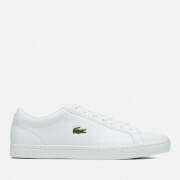 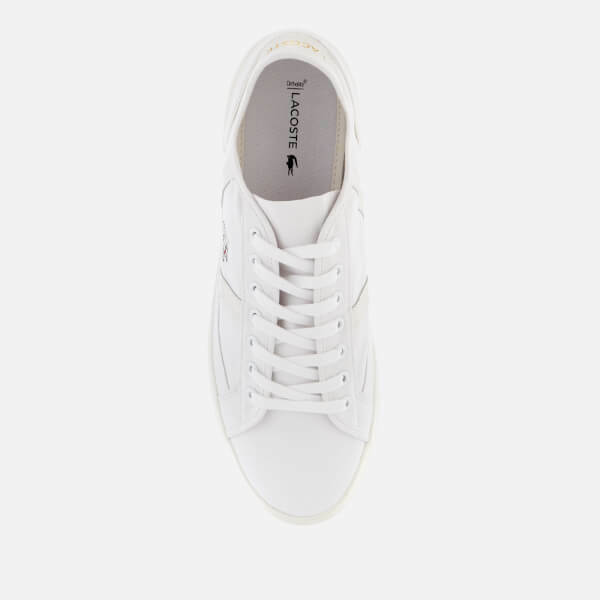 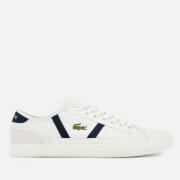 White canvas low-top sneakers from Lacoste. 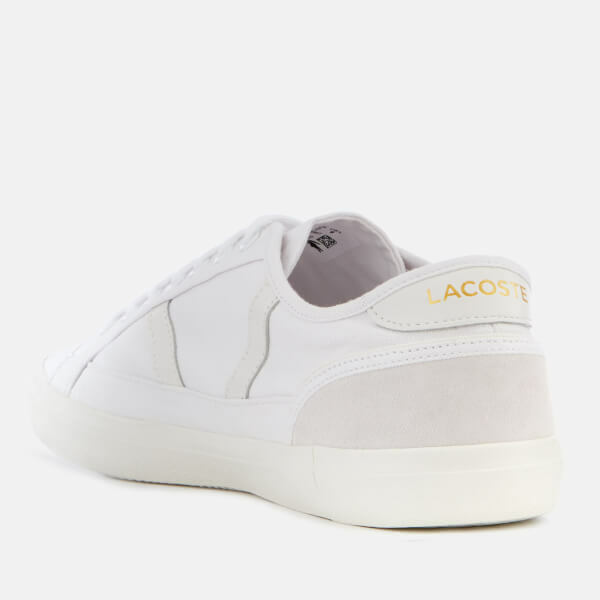 Accentuated with tonal leather and suede trims, the ‘Sideline 119 1’ trainers feature a round toe, seven-eyelet lace-up and cushioned Ortholite® insoles for enhanced comfort. 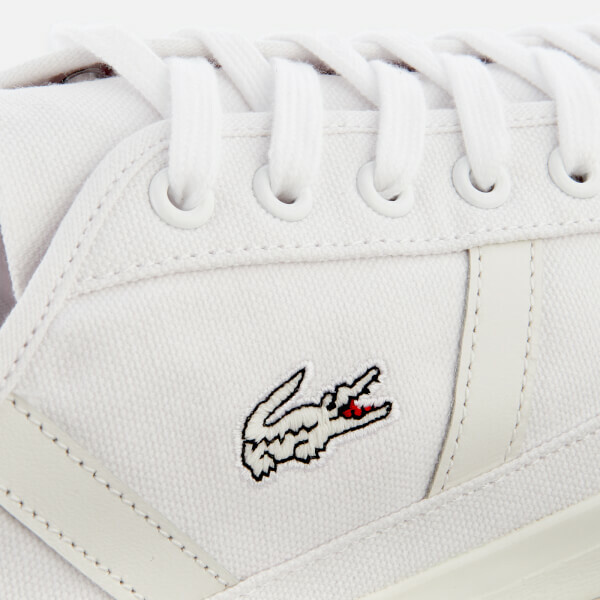 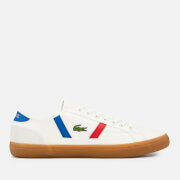 Set upon white rubber treaded outsoles for optimal grip, the trainers are adorned with gold foil branding on the heel cap and signature crocodile motif embroidery on the outer foot.